Willkommen auf unseren NEUGIKEITEN / NEWS-Seiten. 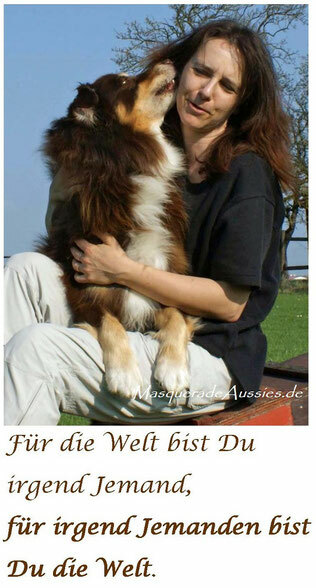 Hier finden Sie viele Fotos von unseren Hunden und Informationen, was wir gerade so treiben. 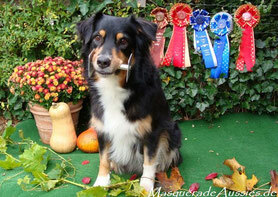 Welcome to the Blog of Masquerade Aussies. 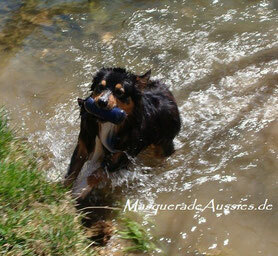 Here, you will find many pictures of our dogs and updates. 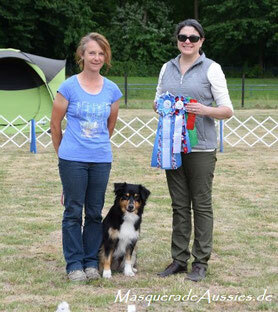 Pätkis earned her RTCH with a perfect score of 200 and HIT (High in Trail) in the highest Masters Class! 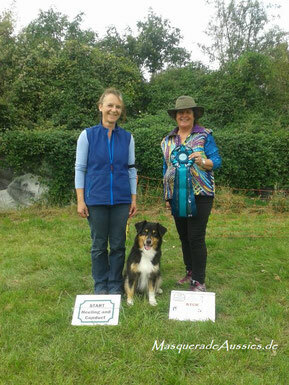 Thanks so much to judge Jan Wesen for this great moment as well as for for the other "X" legs in M and E - enabling us to collect the missing scores for her RTCH in one weekend! Also a big thank you to WEWASC for the wonderful sign holder! 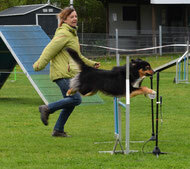 Same weekend, Pätkis finished her GV-N (Gambler Veteran Novice) in Agility with a 1st place! My Balu daugther - so proud of you. Sure, he, too. Rally-Obedience Novice #17 (199/199/198) @ 2 yrs. old! Juni 2017: 1. Lauf RO Advanced: 197. 1. und 2. 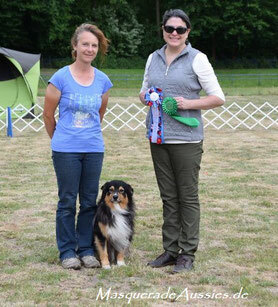 Lauf Obedience Novice: HIT (High in Trail)! Ihre Mama Pätkis lief am selben Wochenende High Combined Obedience UD und ODX! 2 Mon. 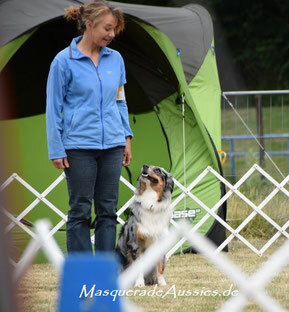 später Baden/ Wien: ASCA CD Obedience 195 Pkte! RAX 197 Pkte. 1 leg RE 195 Pkte! 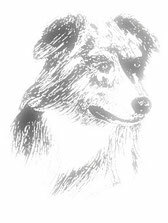 Quali für die ASCA Nationals in TX/ USA Nov. 2017 für Superdog und Rally-O (alternate)! Quali ASCA National Final Standings 2016-2017: Jamie Obedience CDX # 10, Rally-O alternate. Merit UD #3 7/2017! 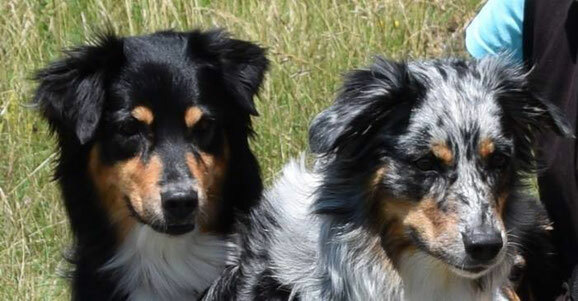 Pätkis und Jamie sind die einzigsten europäischen Hunde, die sich in Obedience für die ASCA Nationals qualifiziert haben! #4 ODX Merit, #10 Utility Merit. Rally Merit REM #7 limited trailing! Quali für die ASCA Nationals in OR/ USA Sept. 2016!